Boston, MA, USA – October 13, 2014 – PrismTech™, a global leader in software platforms for distributed systems, today announced its new Vortex™ Intelligent Data-Sharing Platform is now generally available for evaluation and purchase. The Vortex platform provides the most comprehensive real-time data sharing solution for integrating device (sensors to servers), web, mobile and cloud environments. 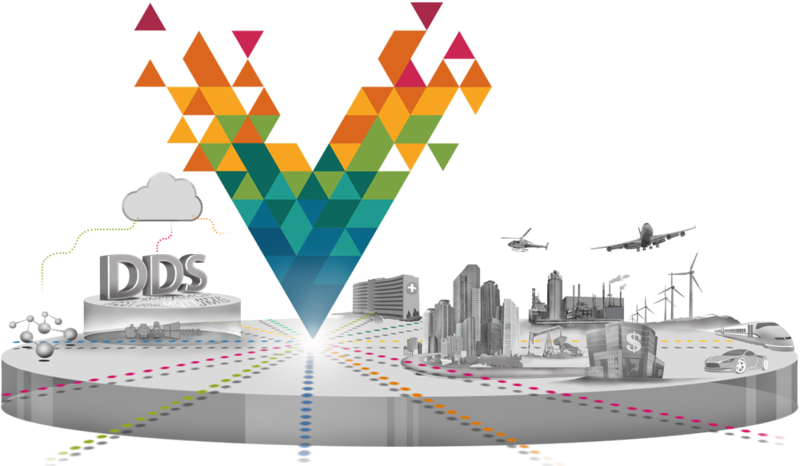 Vortex is ideally suited for Industrial Internet of Things (IIoT) applications and is based on the Data Distribution Service (DDS) for Real-time Systems open standard. Vortex builds on proven technologies to provide an efficient solution for device-to-device, device-to-cloud and cloud-to-cloud Internet scale real-time data sharing. It is a crucial enabler for systems that have to reliably and securely deliver high volumes of data with stringent end-to-end qualities-of-service (QoS); hence its suitability for delivering the right information to the right place at the right time. In comparison to other proposed IIoT protocols such as MQTT, AMQP, XMPP and CoAP only DDS can provide the real-time, many-to-many, managed connectivity required by high-performance device-to-device applications. DDS is also emerging as a key interoperable messaging protocol for connecting real-time device networks to cloud based Data Centers. Vortex creates a system-wide global data space offering more than 20 configurable QoS to ensure the performance, efficiency, agility, security and robustness required of business-critical systems. It thus helps system integrators, OEMs, device vendors and cloud service providers deliver high-performance IIoT system solutions for many vertical markets, including smart cities and urban environments, smart grid and energy, transportation, healthcare, IT & networks, and industrial automation. The Vortex platform includes Vortex Café for mobile phones and tablets, Vortex Lite for embedded sensors, Vortex Cloud for cloud services and Vortex OpenSplice™ for corporate systems. From a Starter Kit (Café, Web and tools) to the full platform suite, Vortex components are delivered in convenient and affordable development and deployment bundles to simplify the evaluation and procurement process. The Vortex family also comes with a complete set of tools to support system development and management (e.g. configuring, testing, optimizing, monitoring and recording system behavior) and it provides a rich and open API for integration with other IIoT application development technologies, such as IDEs, Java EE application servers, M2M platforms and analytics engines. Vortex is available for free 30-day evaluation from PrismTech’s website at: http://www.prismtech.com/vortex/software-downloads.